It is the season not only to be jolly but also to let loose and pack your bags. This is the most wonderful time of the year and you should make the most of it by flying to a stupendous holiday destination. With the falling airfares, 2018 is going to be the banner year for budget travelers. All you need to do is pick a spot, buy flight tickets and get on board! So, where are you heading to? Is the plenty of options leaves you somewhat confused? Here are 5 superlative travel destinations for you to choose from if you are planning a longer trip abroad. Hope you are not spoilt for choices…again! 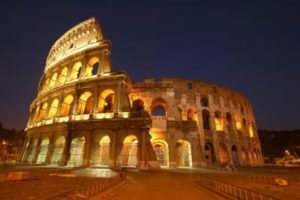 Rome This eternal Italian city tops the list for its myriad of attractions that would simply leave you amazed. You can either get lost in the history by visiting the Colosseum and the Pantheon. You would also be in awe if you roam across famous religious places like St. Peter's Basilica and the Sistine Chapel can be found in near the Vatican City. Sydney If the golden charm of olden days doesn’t fascinate you and you are rather in pursuit of urban splendor, this metropolis has it all! 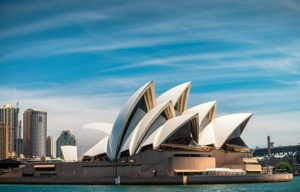 Dazzling landmarks like the Sydney Opera House and the Sydney Harbour Bridge will surely bind with you with a spell and you can also unwind in sensational beaches likes Bondi and Coogee. London If you find royal grandeur charming, this city which is also a world in miniature bound to appease your hunger. 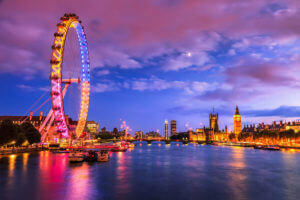 Attractions like Tower of London, Buckingham Palace and the British Museum should not be missed during your stay. Paris This European city is home to romance, fashion and literature in their exquisite best. Roam around the vibrant streets; visit the Eiffel Tower and Notre Dame and also get a glimpse of the latest fashion in shopping districts while exploring this city of lights. 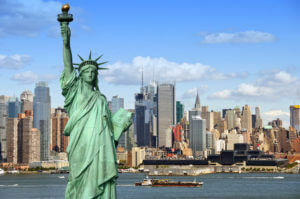 New York City One of the most sought-after destinations for urban adventures lovers, NYC boasts attractions like lush green Central Park, Broadway show, SoHo's boutiques. Stand on the top of the Empire State Building and be amazed by the glittering skyscrapers in Manhattan. If time and money force you to curtail your trip, there are many Asian destinations to take your breath away. Here are top 5 spots which are perfect for a short yet sweet sojourn. 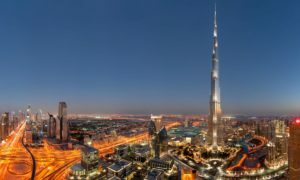 Dubai This Middle Eastern city boast architecture wonders like Dubai Mall, indoor Ski Dubai and The Burj Khalifa which is the tallest building in the world. The city also offers a stunning view of Persian Gulf and also caters to the needs of shopping fanatics from all over the world. Bali If you are one of those who love serene temples, Bali is your choicest place to fly to. Go there in the right season and enjoy the sun beating down on your back in one of those warm and cozy beaches in Bali. 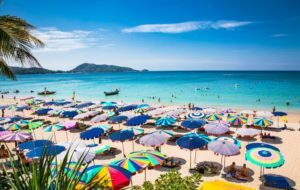 Phuket Yet another paradise for beach lovers; this southern city of Thailand is enormously famous for Phi Phi Island and the Phang Nga Bay for its limestone cliffs. The Old Phuket Town evokes an alluring ancient charm as well. 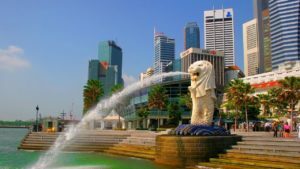 Singapore It is the must-go destination for food lovers. The culinary capital of Southeast Asia, Singapore happens to be the perfect fusion of local cultures and international flavors. You would also be mesmerized by impressive skyline and lively and eclectic neighborhoods. Bangkok The capital of Thailand is the last but not the least in your bucket list. 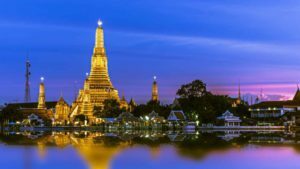 Ranging from Buddhist temples with intricate decorations to exciting night life Bangkok has everything to fire your imagination. Now, with this narrowed down list of electrifying destinations, you can easily cherry-pick the one that captures your fancy. You are just left to buy tickets and get on the plane…right? Wait. Don’t forget travel insurance. Why do you need travel insurance? Travel insurance is most unlikely to be on your mind, however, it comes handy. Travel insurance is mandatory for visiting USA, Canada, UK and all Schengen Countries. And in countries where it is not essential it makes a lot of sense to have one. Incidents like theft, damage or loss of personal belongings, delayed arrival of baggage, delays in flights and trip delay or cancellation are unpredictable and they trigger unplanned expenses. More importantly treatments of sudden illness and accidental injuries can set travelers back financially as well. Armed with travel insurance in India, you can enjoy your trip without worries. Have a safe trip! You are just one step away from your long-awaited trip. Visit neutral portals like GIBL.IN that showcases all available overseas travel insurance plans in India. You can compare travel insurance online and get the best travel insurance plan according to your trip right from the portal of GIBL.